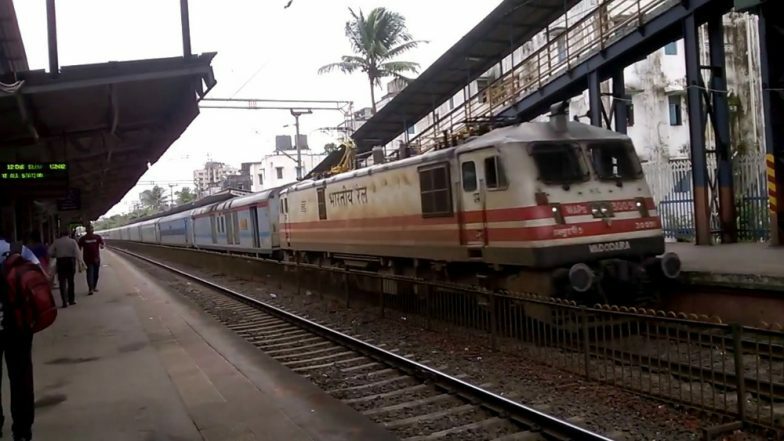 Patna, March 25: The Indian Railways in thinking to discontinue the emergency chain pulling system on some trains heading to Bihar, to prevent smuggling of liquor ahead of Lok Sabha Elections 2019, according to Hindustan Times report. The chain pulling is used to stop a train during emergency situations but sometimes it's misused for forcing unscheduled stops. Notably, Bihar is a dry state since 2016. After Railway Tickets, Boarding Passes of Air India Have Narendra Modi's Pics. Bihar has the fourth highest number of Lok Sabha seats(40) after Uttar Pradesh 80 seats, Maharashtra 48 seats and West Bengal 42 seats. Bihar will go into the poll in seven phases. In last one week, around 31 cases of liquor smuggling have been reported, Railway Police Force official told Hindustan Times. Most of the cases are reported from Maharashtra's Nagpur and parts of Bihar, including Patna and Chapra. According to RPF Director General (DG) Arun Kumar, it is noticed that smugglers pull chains and get down at their preferred locations. He added that a move to discontinue chain pulling has been proposed in the state. But now, citing polls Railways is thinking of discontinuing the service. Nearly 8,000 Litres of Liquor Seized from Two Bihar Districts. Earlier, last week, Bihar police seized large consignments of foreign liquor ahead of 2019 Lok Sabha elections. Cops also arrested nine peddlers from Vaishali district. The liquor was seized from a hideout at Dewaria village based on a tip-off.